Unschooling, a by-product of the widespread homeschooling movement, is a unique approach to education--one that uses children's natural curiosity to propel them into a world of learning. This practical guides reveals the secrets of unschooling success even as it addresses the misconceptions and criticism unschoolers may encounter. Did you know that a growing percentage of home schoolers are becoming unschoolers? The unschooling movement is founded on the principle that children learn best when they pursue their own natural curiosities and interests. Without bells, schedules, and rules about what to do and when, the knowledge they gain through mindful living and exploration is absorbed more easily and enthusiastically. Learning is a natural, inborn impulse, and the world is rich with lessons to be learned and puzzles to be solved. Successful unschooling parents know how to stimulate and direct their children's learning impulse. Once you read this book, so will you! 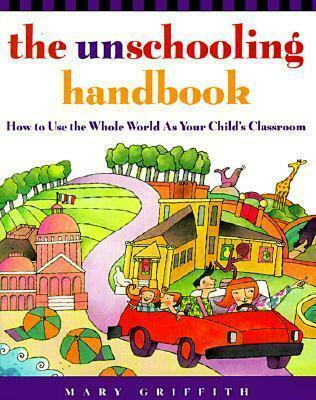 1: What Is Unschooling and How Can It Possibly Work? 4: How Can You Tell They're Learning? Mary Griffith is the author of The Unchooling Handbook (Prima) and a long-time activist with the Homeschool Association of California. Her two children have always been homeschooled.